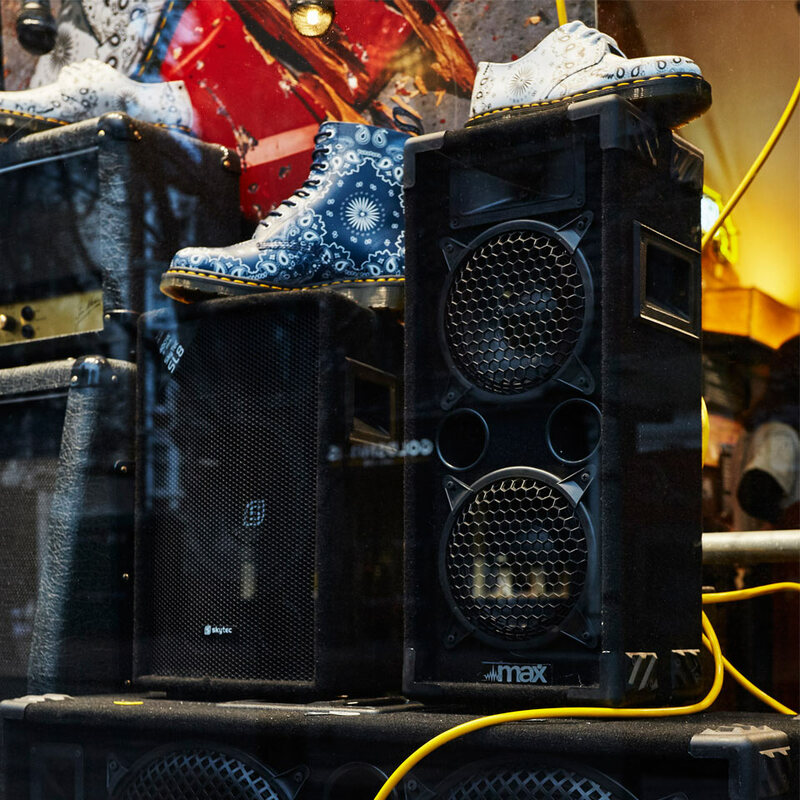 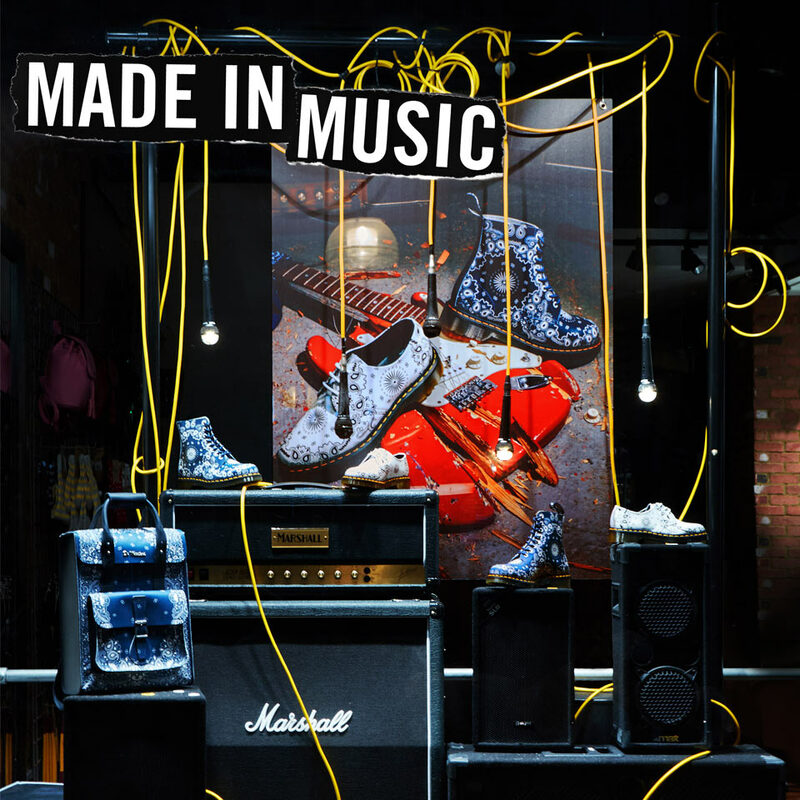 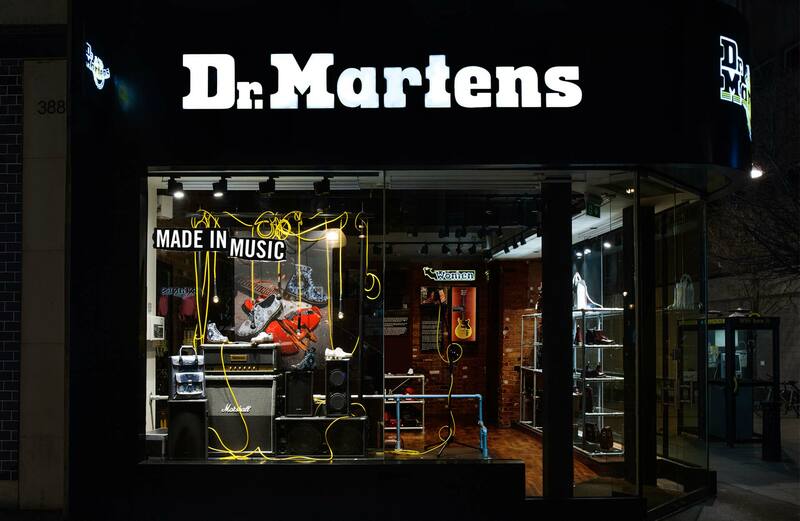 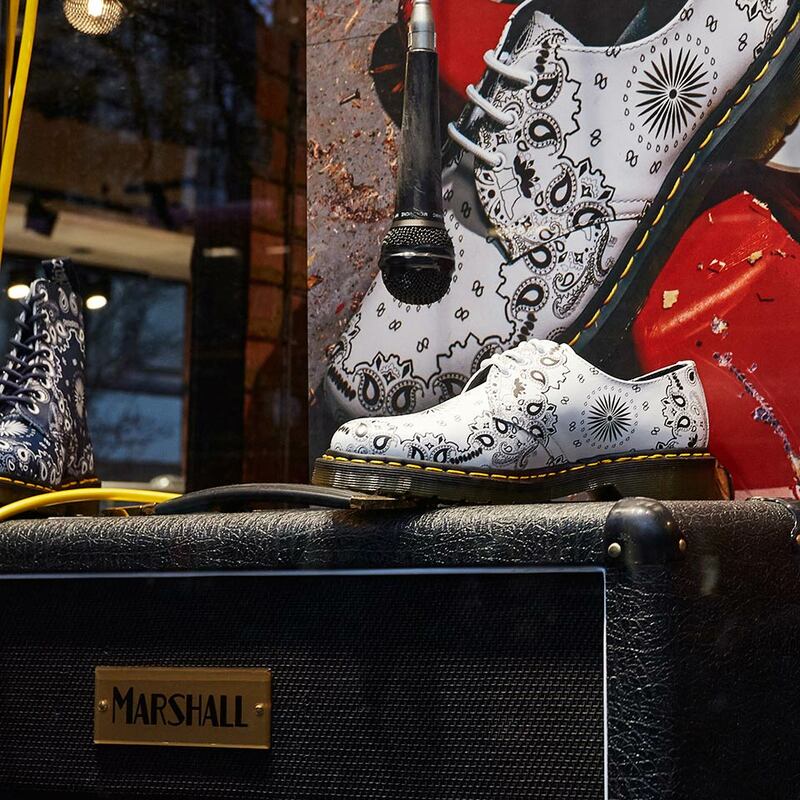 Our latest collaboration with Dr. Martens draws inspiration from the new Bandana collection along with authentic speakers, amps and electrical equipment from Marshall paying homage to the long-standing history between the brand and the music industry. 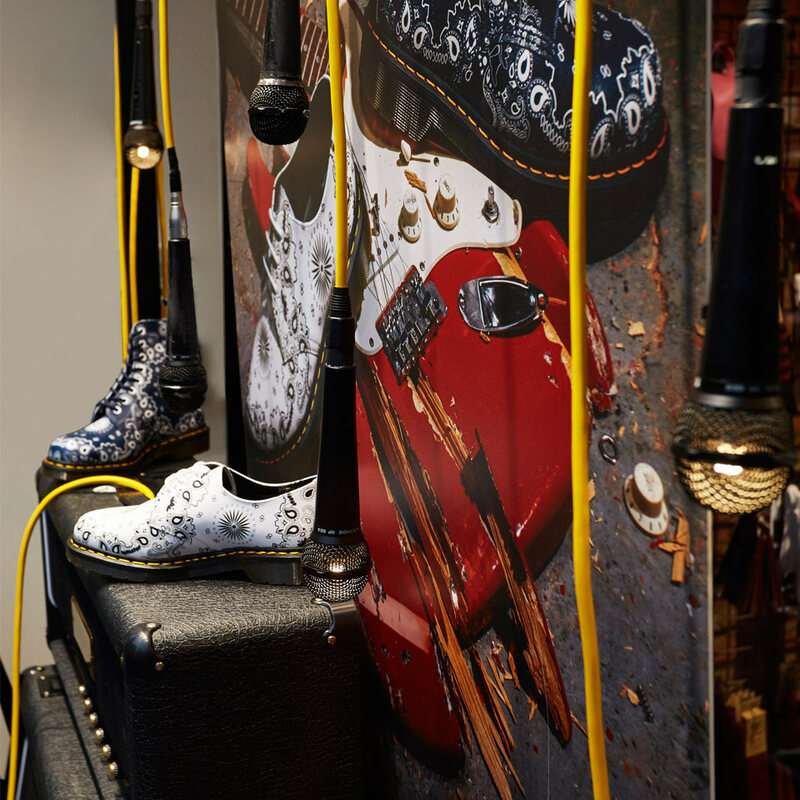 We used a mixture of black speakers and props to create plinths for the product to sit on. 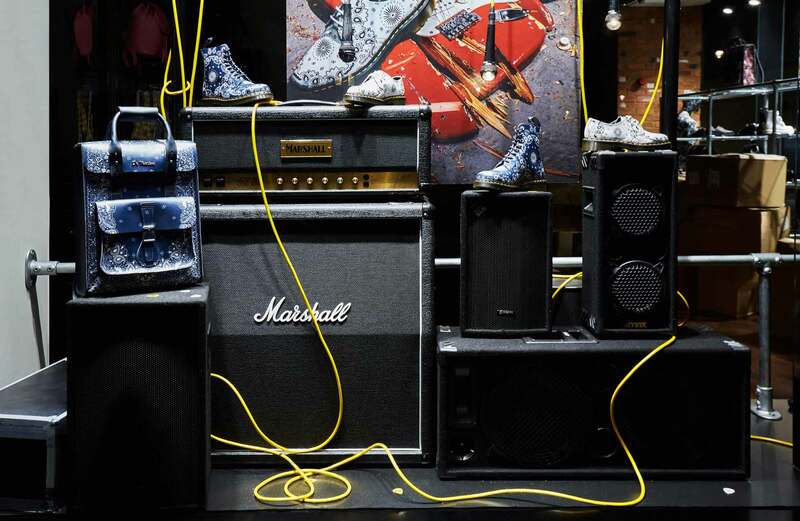 Taking inspiration from the stitching around the soles, we used yellow speaker cable to suspend illuminated microphones.